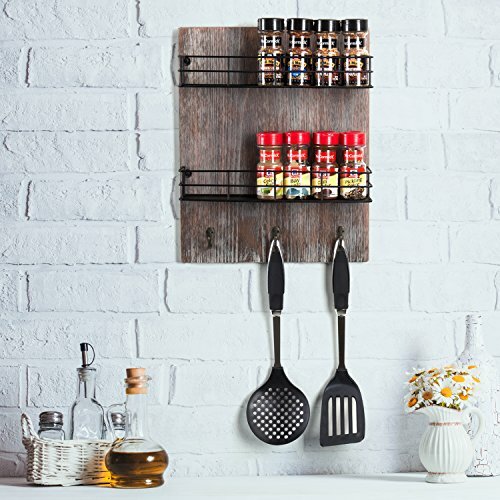 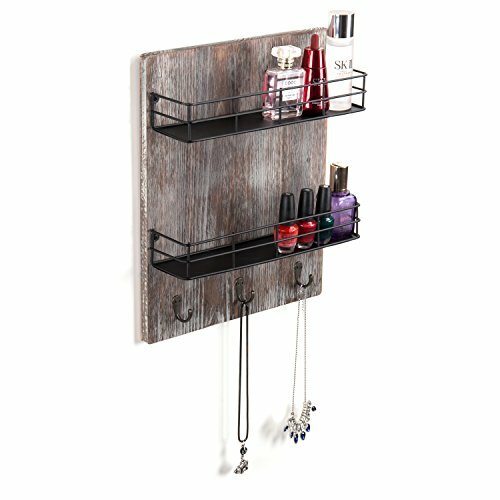 Although this strikingly distressed wooden 2-shelf rack is designed for holding spices and condiments in the kitchen, it is also well-suited to storing beauty products in the bathroom, and other organizational tasks throughout the home. 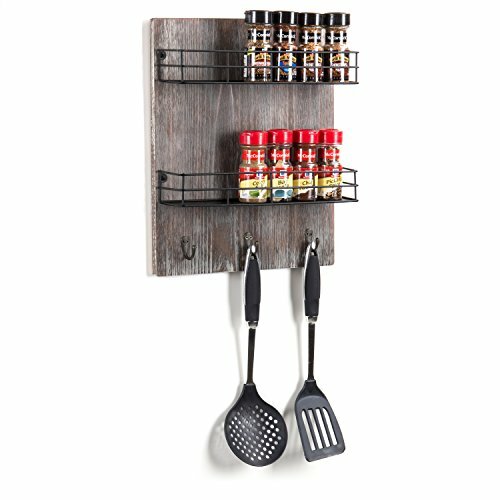 The 3-inch deep shelves can hold most sizes of spice jars and condiment bottles, and 3 hooks along the bottom provide a place to keep utensils or towels handy. 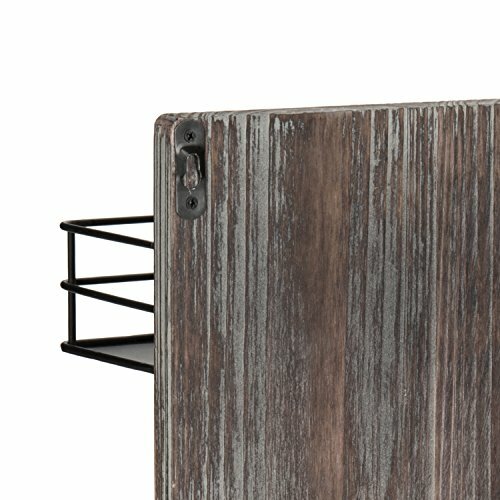 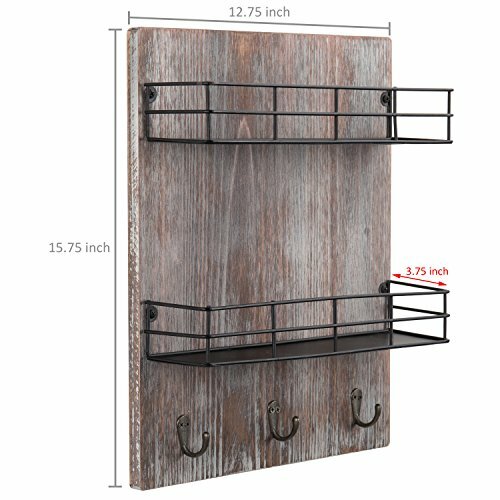 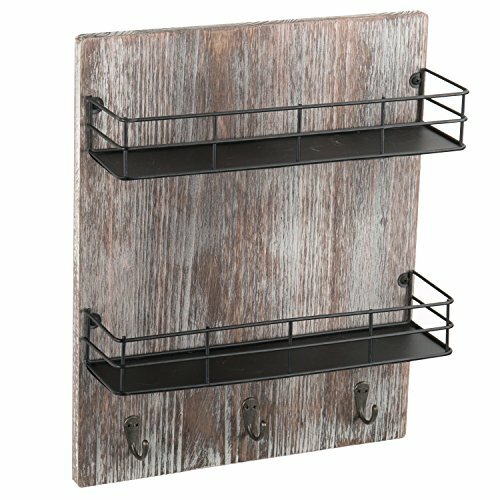 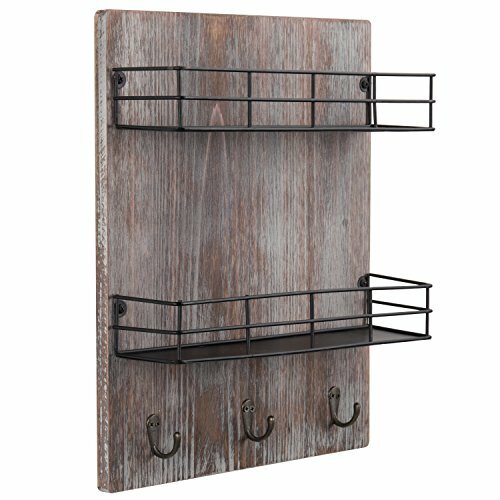 Easily installed on most wall surfaces, this ruggedly handsome and convenient rack adds efficient storage and rustic charm to any space.